OMG! That’s gross, but I kinda wonder how it tastes. 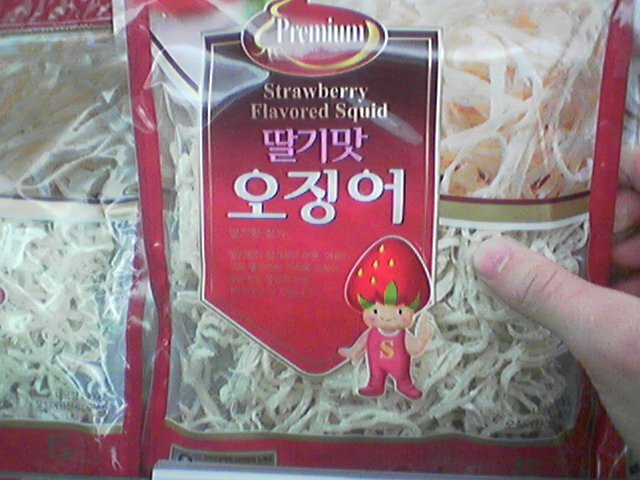 hmm…I actually think that I would like strawberry flavored squid! Eeewh! I prefer plain squid flavored squid please. Why would you make one food taste like something else? Why not have some strawberry candy or something?